***Originally posted on BUNNYCATES.COM***For the video review, unboxing video, and giveaay - please see the review post on my site. Thanks. *****************************************I love this entire series. 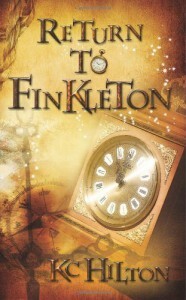 I really liked book one, the Magic of Finkleton (read my review here). As much as I liked book one, I LOVED book two!In book two the kids are a little older, and so is the writing style. It’s almost like Mrs Hilton is letting the kid readers – grow along with the story. Book One was more for say 6 and up with help reading the bigger words. Book Two is like ages 8 and up, no help required. So it’s gone from Childrens book to Middle Grade, if that makes sense. I think it’s fantastic.The Return to Finkleton is book two in the series, but it is also written well enough that it can be read as a stand alone. If you haven’t read book one, you won’t be lost at all. I love series when they are written this way. Each book is it’s own complete story, which in the end will go together to tell the BIGGER story.For the series itself, in my mind I can see so many possibilities on where the storylines could go! I mean these kids have their entire lives to live, so much can happen between 8 and 80, you know? I am glad that another book is already in the works. There is a sneak peek of it at the end of RtF , “Saving Finkelton”!Character wise, each of the three siblings (Robert, Jack, and Lizzie) are very well fleshed out. Their personalities are as defined as their looks, which in my opinion, most childrens books miss the mark on. I love that they are ALL smart, whether it be book smart or “street smart”. Their personalities help to define the family dynamic, and I love that as well. So many books now a days have characters with a strong sense of self. So strong that the sense of “FAMILY” gets lost along the way. Not in Finkleton. In the Finkleton series, “FAMILY” is forefront. We need to see more of that in our childrens literature!Plot wise, there is nothing I want to tell you that’s not already stated in the synopsis. This story is as much a mystery as it is an adventure. I would hate myself if I thought I “spoiled” the book for anyone! I will say that even though it is the “MAGIC” of Finkleton series, there are no witches or anything like that in it. It’s more a “fairy tale” type magic. Think faerie type magic and you are leading in the right direction. BUT with that said – there are no fae in Finkleton either. Or are there? hmmmmm LOL. In Conclusion:I’m a fan of this entire series, and not just because I helped edit the second book! I think it’s fantastic for little ones. This one helps in teaching the lesson of “accountability” and the repercussions of ones actions.Mom Notes:Great series! 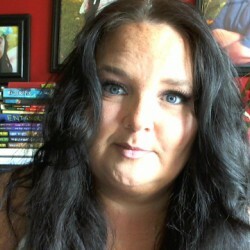 I would say good for age 7 (advanced readers)+ Dont miss our EPIC Return to Finkleton Giveaway!